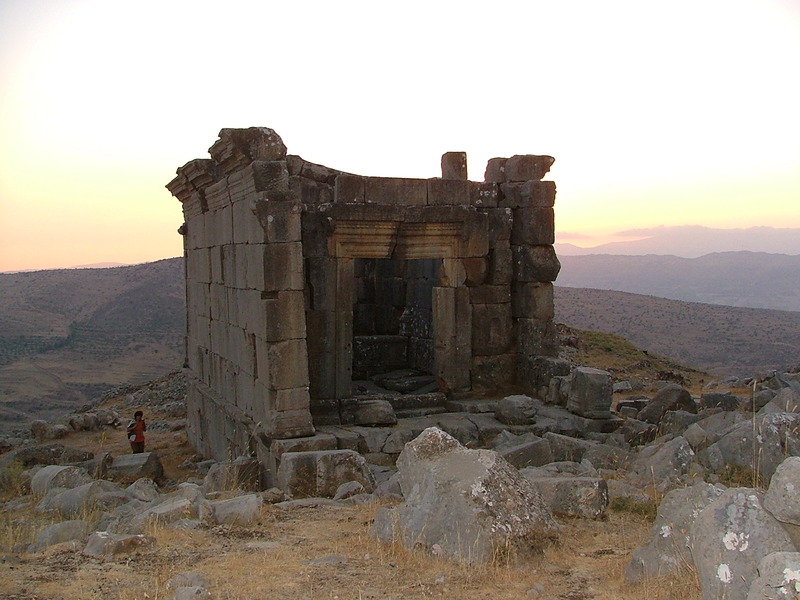 One of the best preserved temples on Mount Hermon, Ain Herche is built of local limestone and blends in so well that it is virtually camouflaged among the rocky crags and boulders. A large stone (broken in two) in front of the temple, carries an inscription in Creek that dates it to 114-115 AD. The temple was restored in 1938-39 and the west wall - the side you see as you approach - is so perfect it is easily mistaken for modern. Around the temple are more remnants of ancient habitation, including sarcophagi. From Chtoura (on the Beirut-Damascus highway - 44km from Beirut) drive in the direction of the border post with Syria, (Masnaa), but turn right toward Rachaya just before the post. Continue through the villages of Dahr El-Ahmar and Labia to Ain Herche village whose high-walled terraces wind their way around the curves of the hillsides. From here you have to walk for about 40 minutes. The rocky, exposed path from the top of the village leads to the temple.